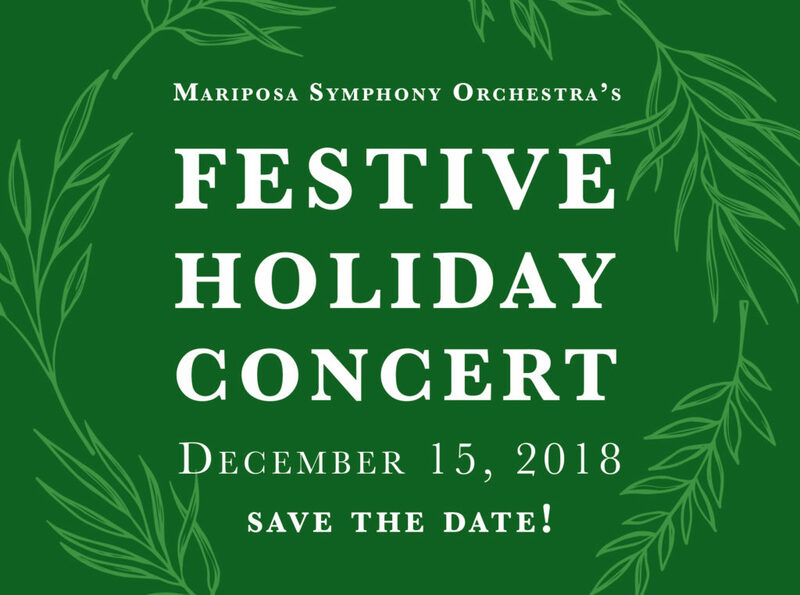 The Mariposa Symphony Orchestra’s 17th Season Festive Holiday Concert is coming soon, Saturday, December 15, 2018! Join us 7pm at the The Fiester Auditorium, Mariposa County High School for a selection of classical holiday favorites. Stay tuned for more from MSO’s Founder and Conductor, Les Marsden!